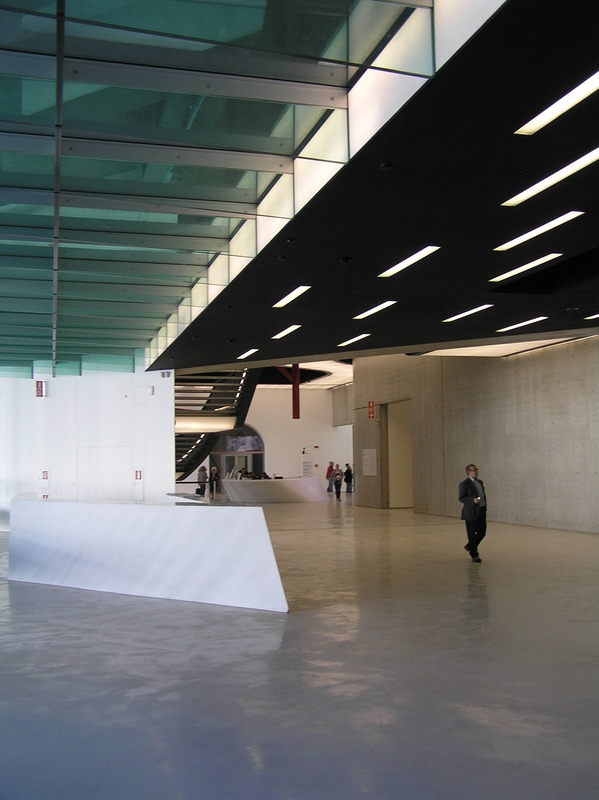 After a one day working meeting, having just one hour to spend before catching the train back to Milan I decided to visit the award-winning, contemporary architecture “must” MAXXI, the Museum of Twenty-first Century Art designed by Zaha Hadid in the place of a former military barrack. 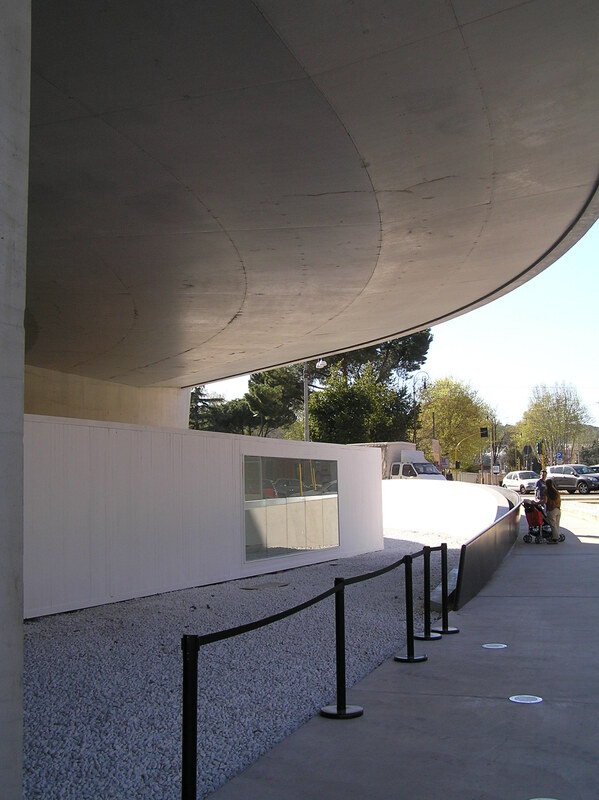 As the way to the place and its surroundings are as important to me as the object itself I did not manage to visit the museums and its collections, but thanks to the beautiful weather I enjoyed the outside works and the entrance hall. 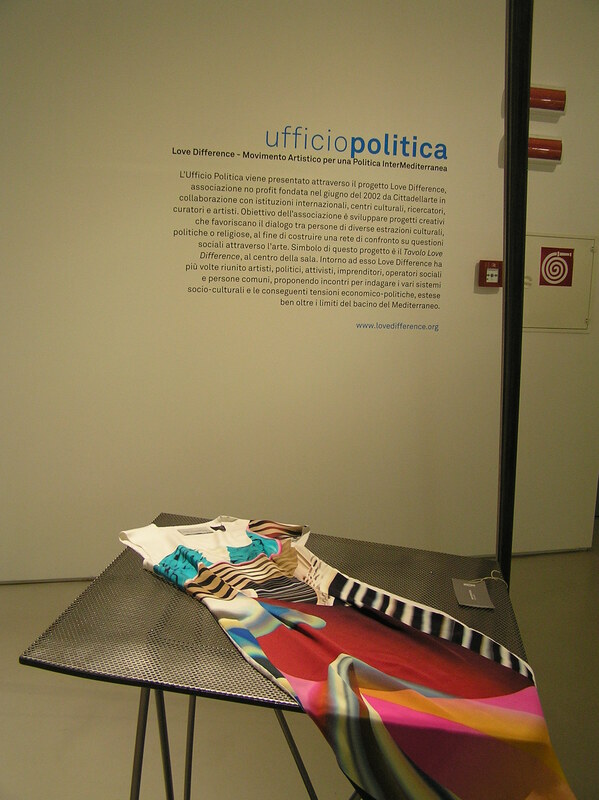 A small exhibition in the foyer captured my attention and gave me additional food for thoughts and for this post. 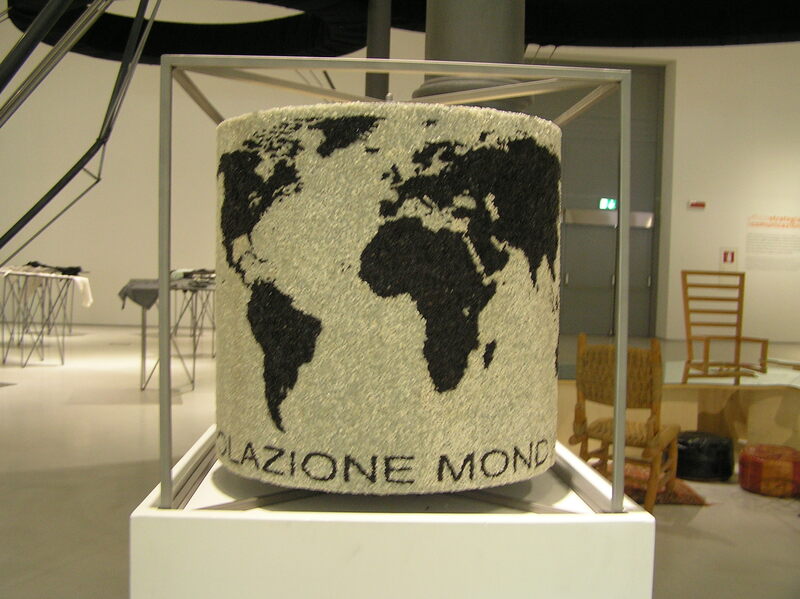 A showcase of Cittadellarte, the Foundation established in 1998 by Michelangelo Pistoletto in a former textile factory of Biella. 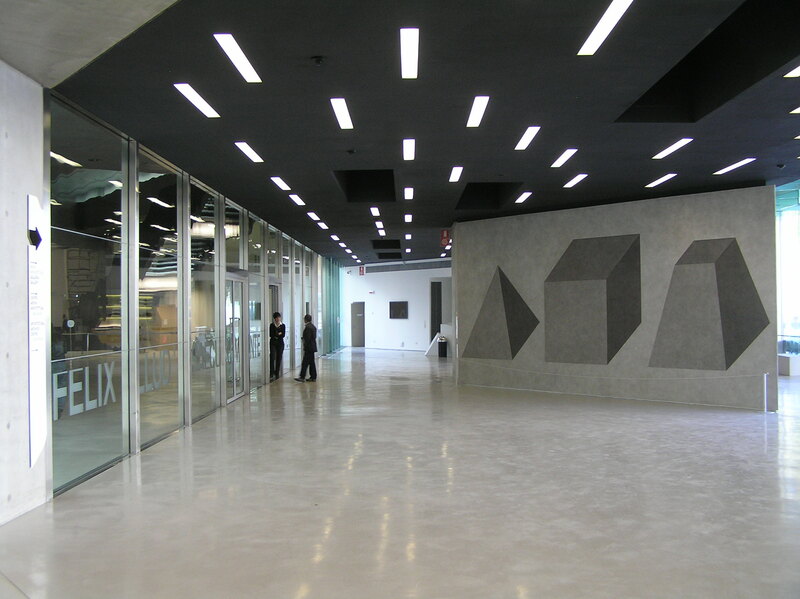 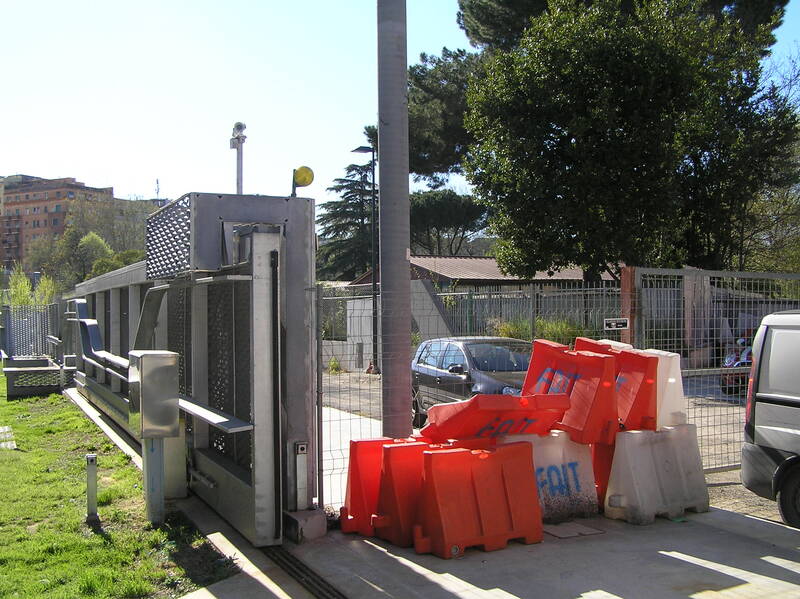 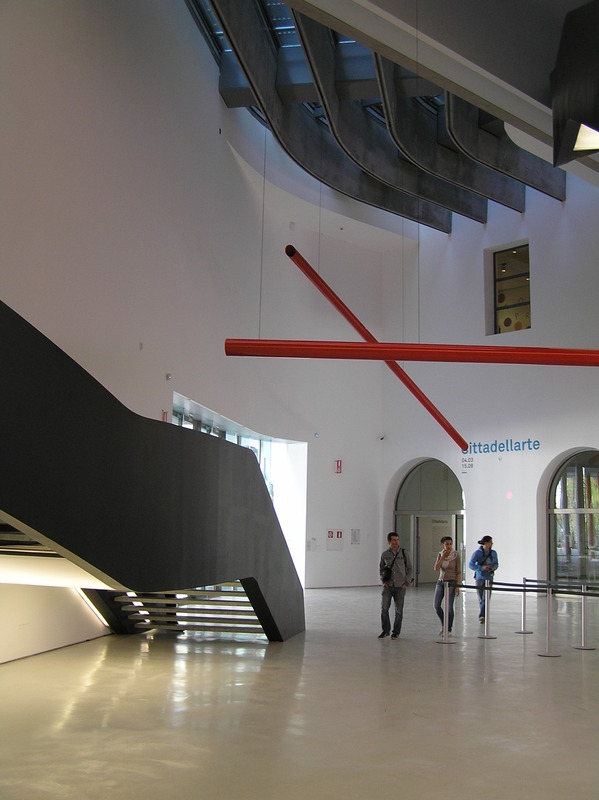 The Italian artist is known for his art practice engaged with the real world and its processes and the Cittadellarte is the headquarter and operating arm of his civil committment. 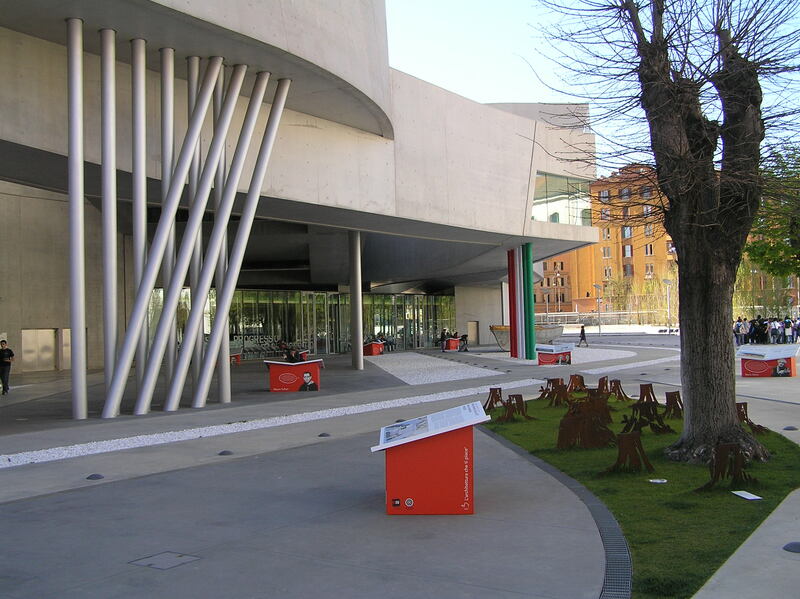 The Foundation, as for its programmatic name “City-of-art”, is conceived as a permanent workshop subdivided in thematic areas “Uffizi” (Offices) dealing with selected key sectors of society: production, fashion, communication, politics, ideas and architecture. 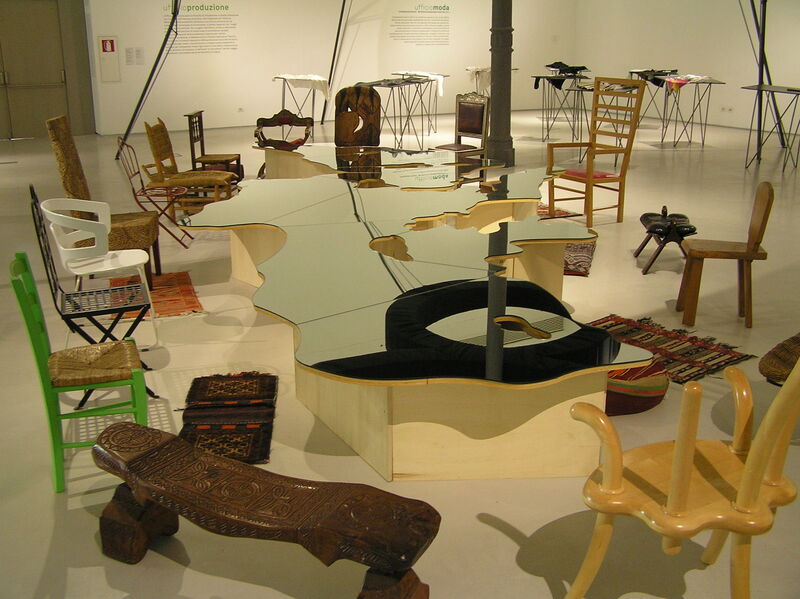 The background and the focus of Cittadellarte – and therefore of this little exhibition at MAXXI – is the art utopia of Michelangelo Pistoletto called “Terzo Paradiso” (Third paradise) and refers to the “Nuovo Segno d’Infinito” (New sign of infinity) completed by 2003 and aiming at “stimulating and producing a transformation of society, both local and global”. 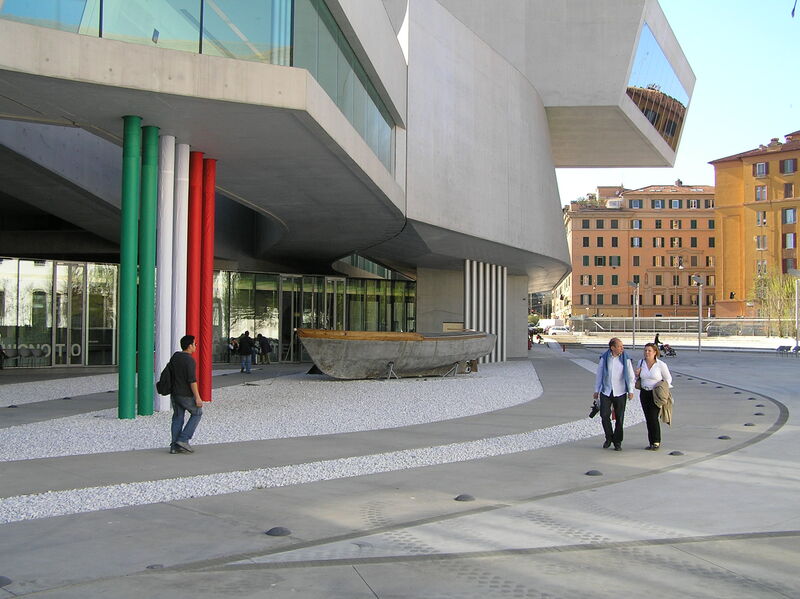 As a matter of fact it is a quite peculiar and ambitious art project – Bjarke Ingels would probably call it “pragmatic utopia” – embedded in a cutting edge high-design museum in the slowly moving paradigm of urbanity, the “Città eterna”. 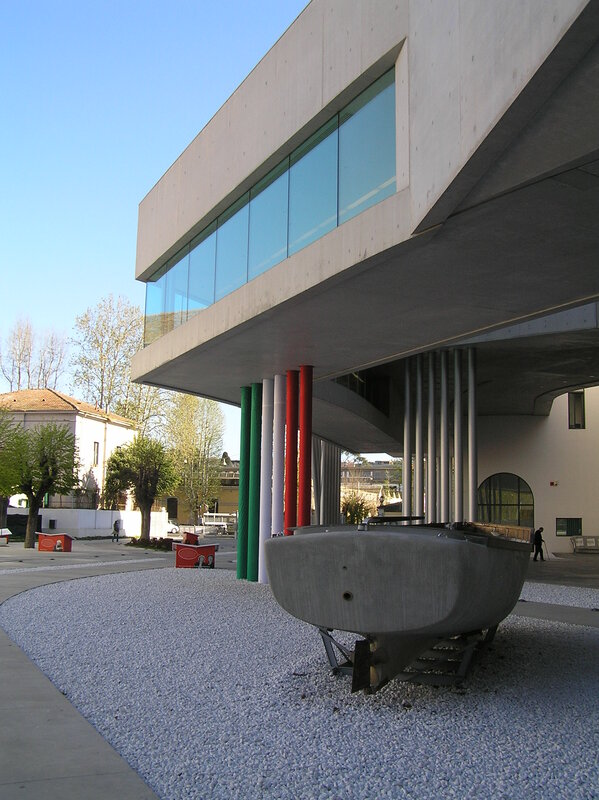 The collision of Pistoletto’s team refreshing and colorful ideas with the concrete, steel-glass and neon fashionable museum gives fresh blood to this algid architecture. 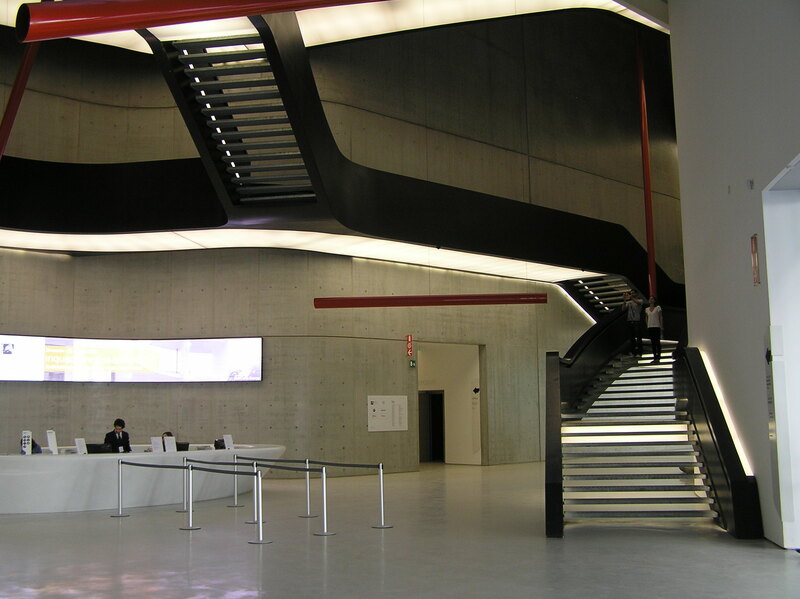 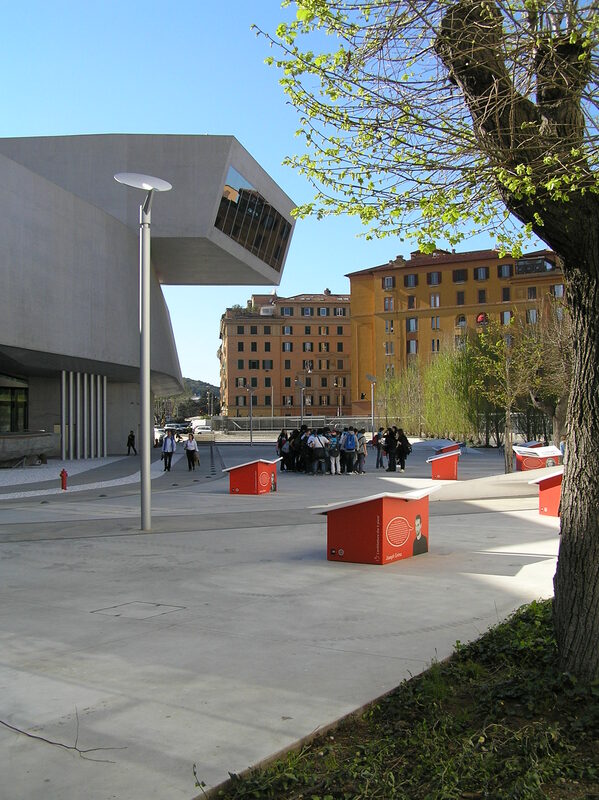 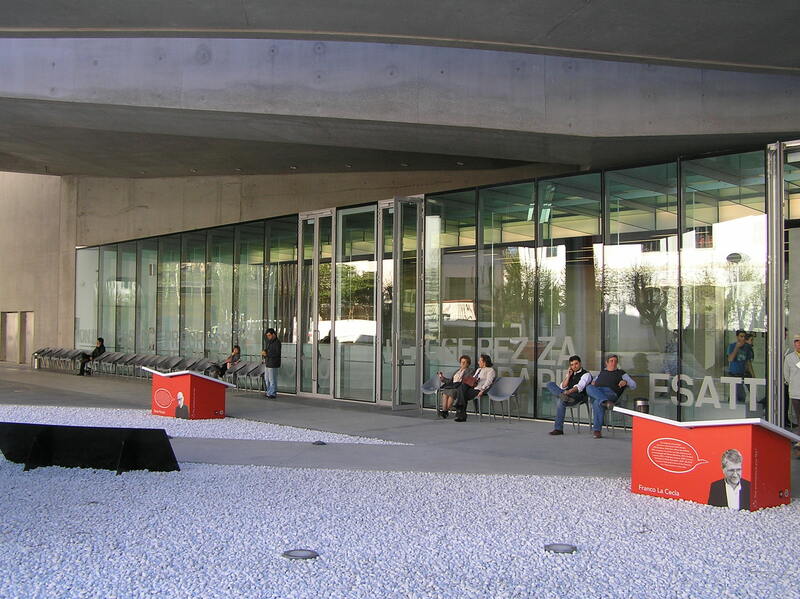 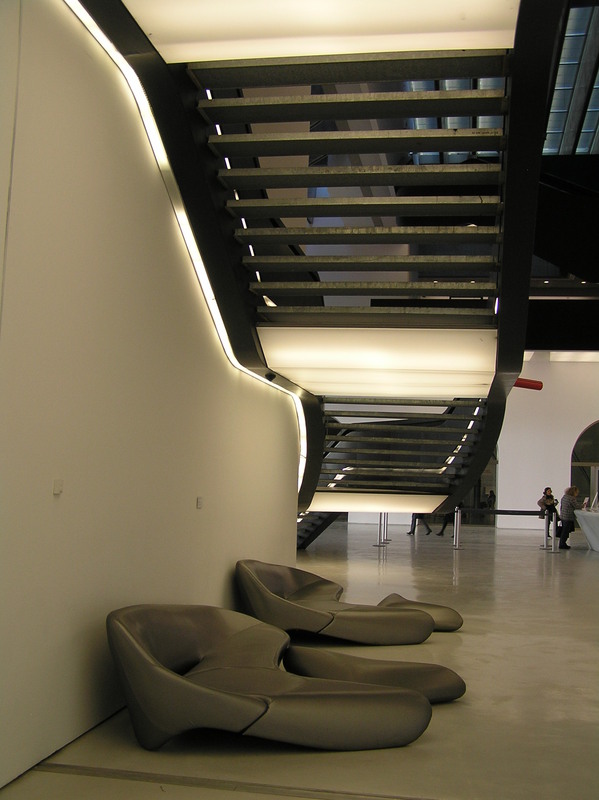 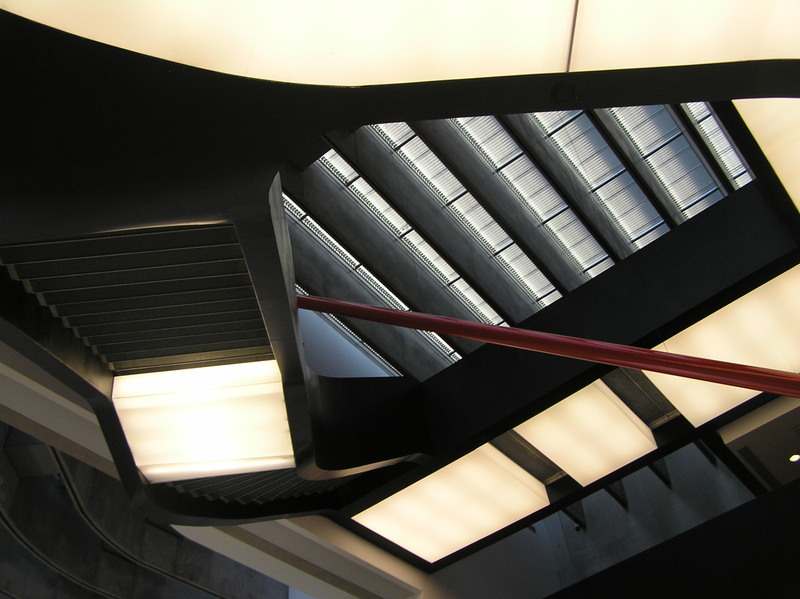 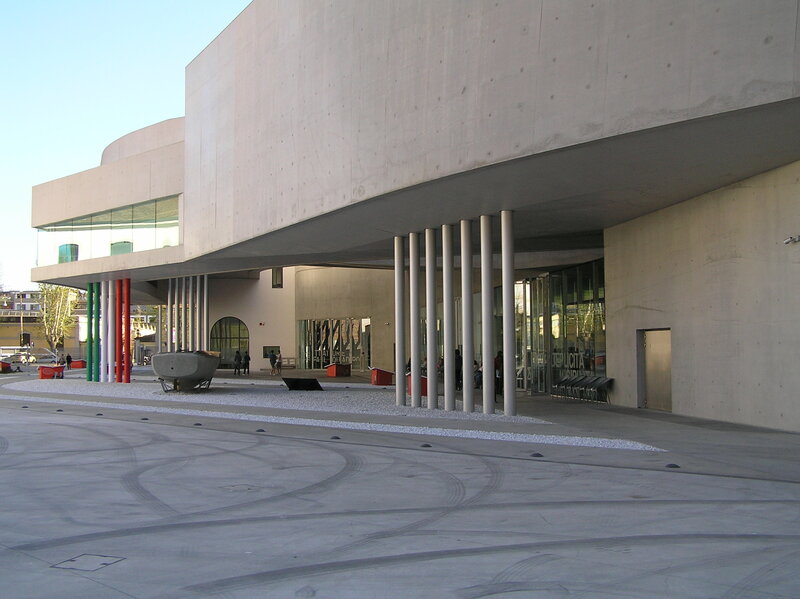 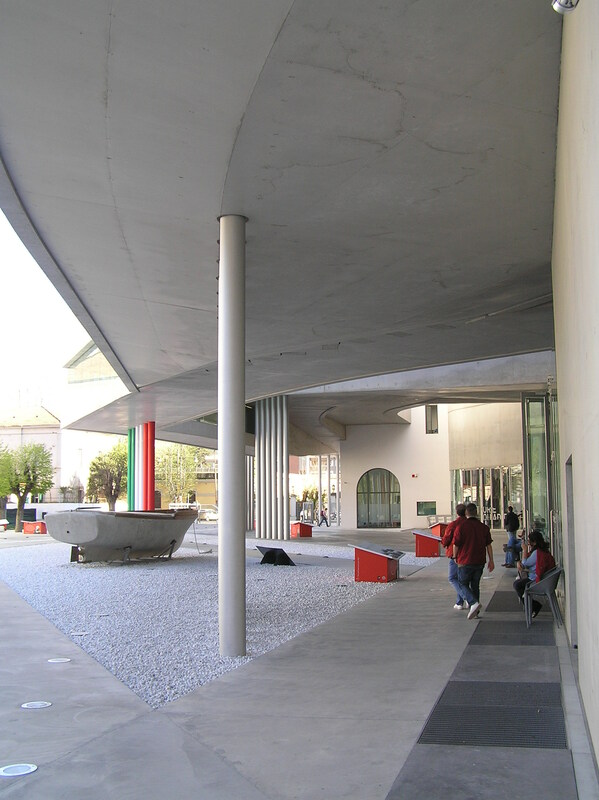 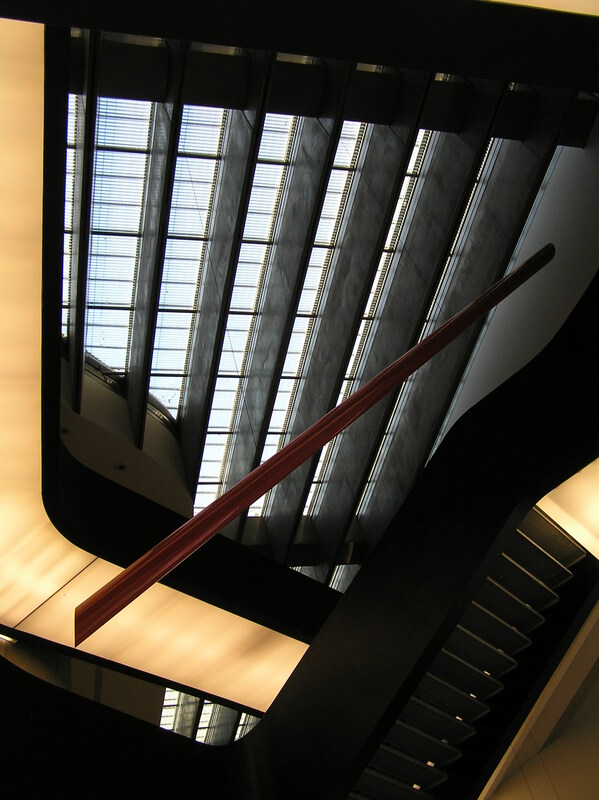 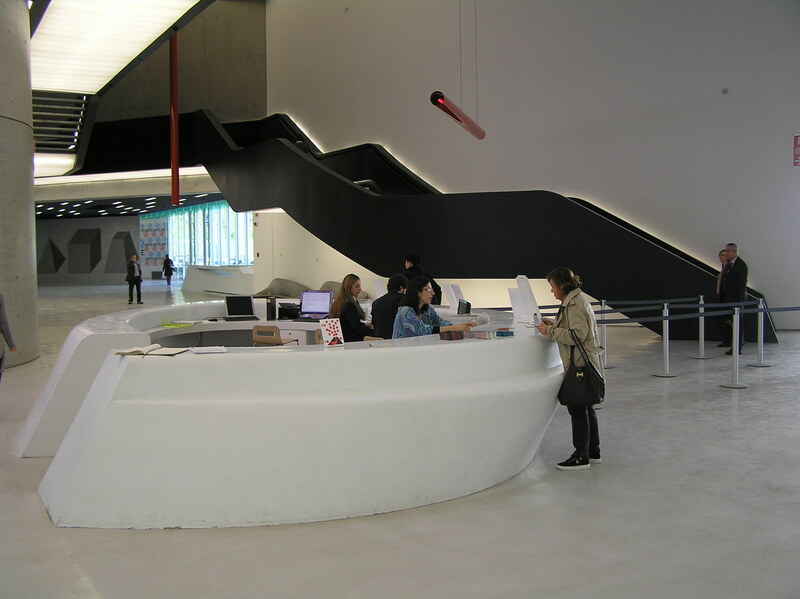 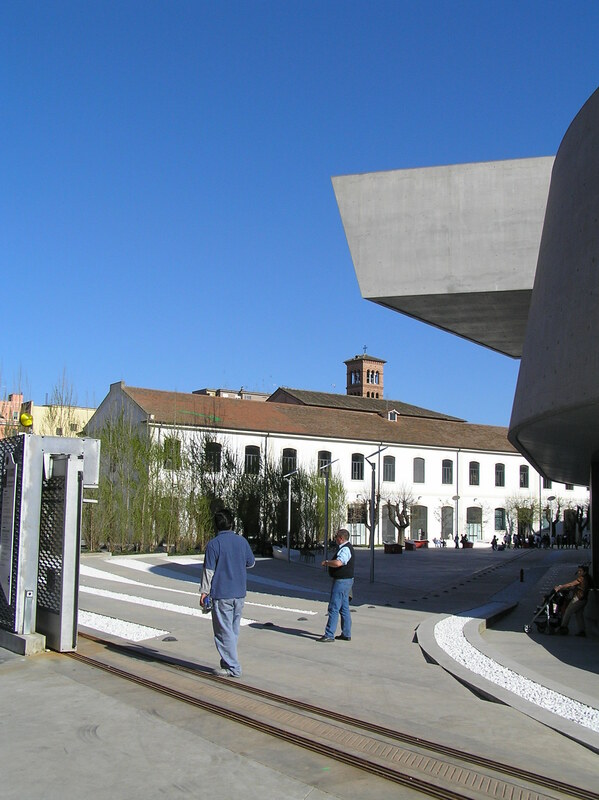 As architectural object Maxxi is a late son of Bilbao’s Guggenheim, but with a balanced and sustainable impact on its physical and social environment. 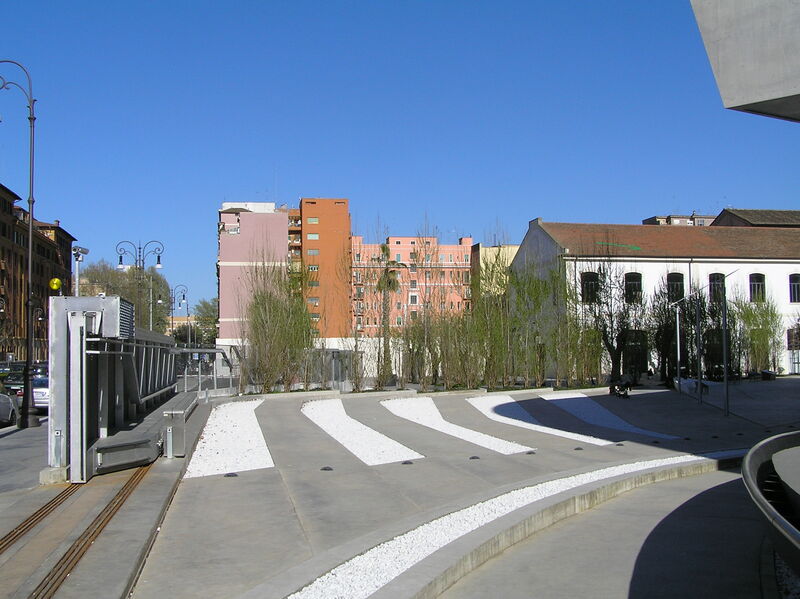 The concrete and stone garden outside reminds the garden of modern homes in Jacques Tati’s movies: you are not welcome out of the concrete paths. 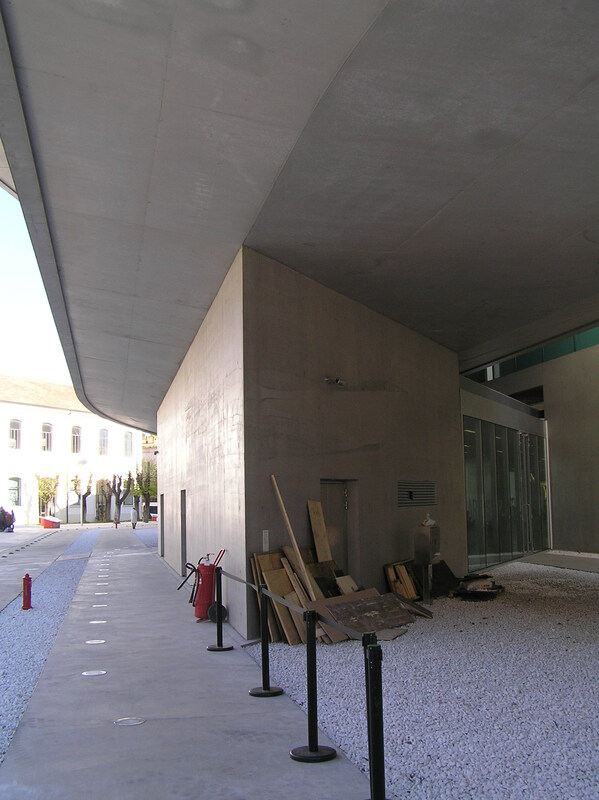 Nevertheless the museum has been well received, appreciated and makes a lively impression. 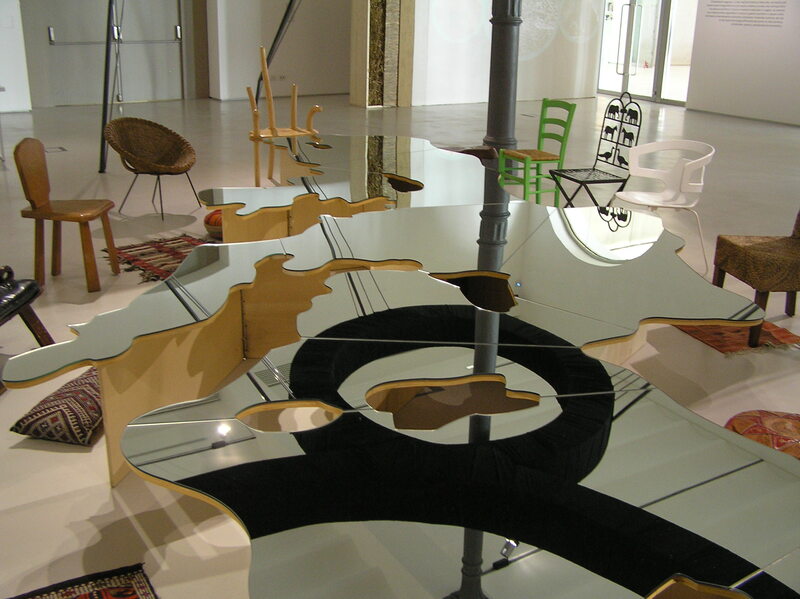 Just before my visit to the Exhibition of Cittadellarte a group of children was sitting on the chairs around the mirror table and listening to the Maxxi’s Education Department staff telling the story of a changing world.